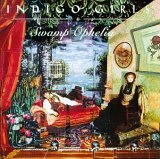 Simply put, Swamp Ophelia is the Indigo Girls' best outing to date. It's a refinement of everything upon which the duo has been working since its debut, and each song is carried to its fullest potential. Emily Saliers and Amy Ray consistently have complemented each other quite well vocally, but most of their songs have been individual musical excursions. Swamp Ophelia truly sounds like a collaborative and cohesive effort, and it blends the duo's beautiful folk refrains with those of Joni Mitchell and Simon & Garfunkel. Saliers and Ray's vocals never have sounded better, and they harmonize and intertwine their voices to form a beautiful soundscape that is reminiscent of a dream. Whether it's the single Least Complicated, the ethereal Language or the Kiss, or the centerpiece Touch Me Fall (complete with a bridge that pays tribute to The Who), the songs are first-rate compositions to which it's impossible not to be drawn. Unlike many albums these days, Swamp Ophelia is immediately gratifying, yet it reveals its mystical secrets slowly. Swamp Ophelia is available from Barnes & Noble.